What is Search.hcrimereport.co? And how does it work? Search.hcrimereport.co is a program that works as a browser extension. It is promoted as an extension that can provide users with crime reports, news, weather news as well as quick access links to popular websites like Gmail, Yahoo, Amazon, Pinterest, and many more. It is created by the infamous Polarity Technologies – a group which has a reputation of spawning countless unwanted programs and browser hijackers. This is why it isn’t surprising that security experts categorize Search.hcrimereport.co as a browser hijacker and a potentially unwanted program. Once it is installed, Search.hcrimereport.co will quickly modify the default settings of the browser that affects the default search provider, homepage, and new tab page. As a result, your browsing will be manipulated by this browser hijacker every time you browse the internet. It often triggers redirect to its affiliated websites and often display ads like pop-ups, banners, in-text links and many more. Some of these ads can reroute you to suspicious and unknown websites that might contain harmful content that could potentially harm your computer. In addition, Search.hcrimereport.co could also monitor all your browsing-related activities to obtain your browsing data such as search queries, browsing history, sites you frequently visit, IP address and many more. This clearly shows that Search.hcrimereport.co isn’t safe to use and can’t be trusted which is why it’s best I you delete it from your computer right away. How is Search.hcrimereport.co distributed online? Search.hcrimereport.co is distributed using several distribution methods but its developers often use free software package known as software bundles that can be found on free sharing sites. This browser hijacker, along with other unwanted and unknown programs are added as part of the optional components that aren’t really made known to use during the installation. 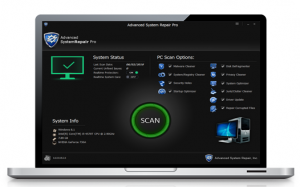 To avoid installing such programs, you must always opt for the Custom or Advanced setup instead of the quick one. Delete Search.hcrimereport.co with the help of the removal guide prepared below. Step 1: You need to first flush the DNS. 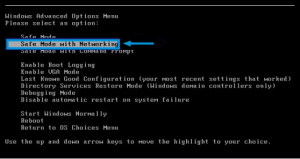 To do so, right click on the Start button and click on Command Prompt (administrator). From there, type the “ipconfig /flushdns” command and hit Enter to flush the DNS. Step 2: After that, restart your computer and then open all the browsers infected by Search.hcrimereport.co. Reset all the affected browsers to default to their default state. Step 4: From the list of programs installed, look for Search.hcrimereport.co or any unfamiliar program that could be related to it under the list of installed programs and once you’ve found it, uninstall it. Delete all the entries that contain Search.hcrimereport.co. Refer to the advanced instructions given below to ensure the removal of Search.hcrimereport.co as well as all the file residues it left behind.